Usury is the reason for most of society’s financial problems, going back many centuries. In previous posts, I’ve exposed the results of usury going back to the Roman Empire. I then explored the creation of the Bank of England and contrasted it with the usury-free system developed under Napoleon Bonaparte at the turn of the 19th century. The French Revolution in 1789 left France in bankruptcy, mostly due to over fifty years of war. This opened the door for one of the greatest commanders in history to rise to power. When Napoleon took over the creation of France’s money, taxes on the citizens of France were dramatically reduced, and he made the French franc the most valuable currency in Europe. Under Napoleon (emperor 1804-15), in the absence of compounding interest from central bankers beyond the borders of France, the country thrived. In a similar manner, other countries (one of them Canada) have realized much more vibrant economies as a result of creating their own money supply, not paying foreign bankers to do it for them (these foreign bankers then charge governments compounding interest for the privilege). In Canada, from 1938 to 1974 (through the Bank of Canada), the country paid for WWII, the Trans Canada Highway, Trans Canada Railroad, the St. Lawrence Seaway, and the Canadian medical system by creating their own money interest-free. Since 1974, however, foreign bankers have been contracted to create Canada’s money instead and charged the country compounded interest. As a result, infrastructure has suffered, the cost of living has risen, and Canadians have been squeezed financially, resulting in the highest household debt in the world. Australia has experienced a similar fate. In France’s case, under Napoleon, the infrastructure was upgraded, with the construction of over 32 thousand kilometres of roads, over 1600 kilometres of canals and bridges, and the expansion of harbours. It was all financed with interest-free money from the Banque de France. When Napoleon gained power and changed the financial system, France no longer participated in the London financial markets and this upset the Rothschild family, who were by now entrenched within the Bank of England. 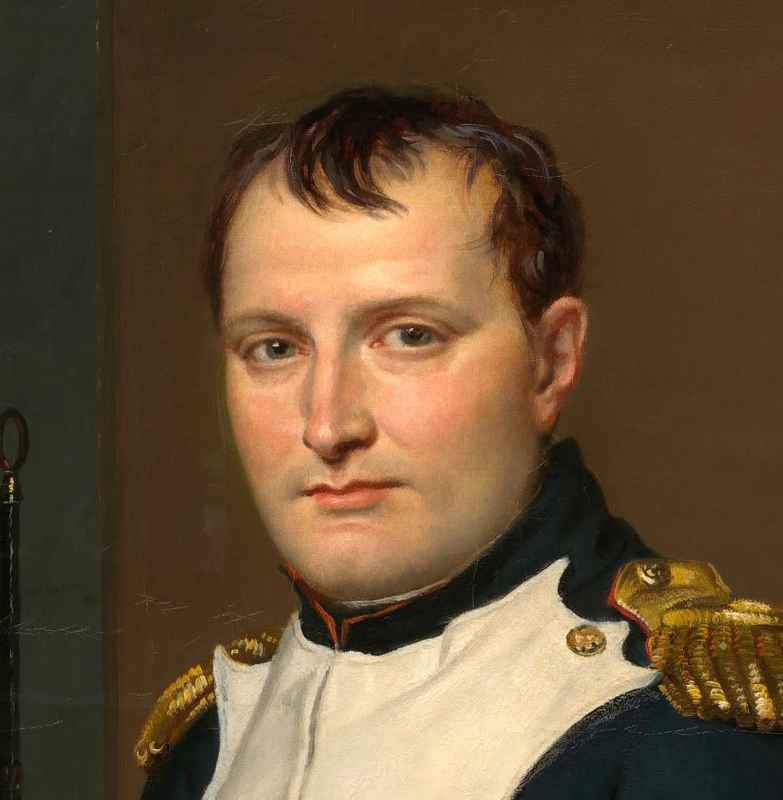 Napoleon, not having the funds to go up against this coalition, decided to sell Louisiana to the United States and received $3 million in return. There was peace for a couple of years but several years of wars followed that. At the time in Eurasia, only France and Russia were not under the influence of the Rothschild family (the world’s banksters). Most other European countries were, having borrowed from them to fund the war with France. As a result, Napoleon made an agreement with Czar Alexander I of Russia to enforce a blockade against England. However, that agreement eventually broke down and Napoleon went to war with Russia in an attempt to get it to enforce the blockade. That was a mistake. Russia retreated and Napoleon, in chasing them into Russia in winter, lost 75% of his army due to the cold and a lack of food and supplies. Napoleon was eventually defeated at the Battle of Nations in 1813 by the European coalition and bannished to the Island of Elba. The Battle of Waterloo was one of the most important in the history of the modern world and was the catalyst for the unsustainable financial situation we have before us today, because it was the turning point for the Rothschild family and catapulted their fortunes into the stratosphere. 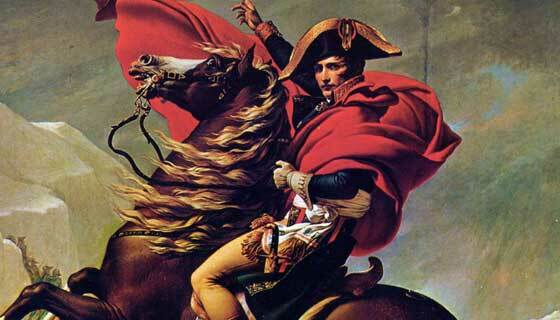 In 1814, Napoleon returned to France and regained control. Without any money, he had no choice but to borrow $5 million from the City of London. The bankers had won. At the same time, the English led an army put together by “The Seventh Coalition.” The commander in charge was the Duke of Wellington. The result was that Napoleon was defeated soundly at the Battle of Waterloo. In the background moved the Rothschilds. Nathan Rothschild had developed a vast network of gold smugglers throughout Europe and had a courier system that was second to none. In London, Nathan was the first to hear of Napoleon’s defeat—a full twenty-four hours before anyone else. England’s position in the bond market at this time was rather precarious, as they’d spent so much money trying to defeat Napoleon. Nathan’s visit to his usual chair in the London stock market the next morning was watched by everyone in the room. Dejectedly, he began to sell bonds. It sparked a deluge of selling across the floor. Prices tanked. A short time later, Nathan reversed his call and bought the dominant holding of England’s entire debt, but at a fraction of its real value. When the news of Wellington’s success hit the streets, the trickery became obvious, but it was too late. The Rothschilds had increased their fortune and when he sold the bonds two years later, they were up 40%, amounting to a haul of some $600 million in today’s money. After the defeat at Waterloo, Napoleon was exiled to the island of St. Helena, where he was poisoned at the age of 51, in 1821. This was most likely the work of the Rothschilds, although it has never been proven. When Nathan Rothschild died in 1836, his personal fortune was equivalent to 0.62 percent of the of British national income. 102 years after the Battle of Waterloo, the economy of Russia would become another victim of the greedy gaze of central bankers—through the Russian Revolution, in 1917. Napoleon was just the start. What was to follow was the export of the Rothschild’s influence to the United States and the Federal Reserve. Thanks for the time you put into this information. I have a question though. Has there ever been a time when a country got out of the financial hold of the banksters, once in there grasp? To my knowledge, no. However, there are obvious moves by Russia and others in that direction (BRICs). South Africa recently announced the setting up of a national central bank. The countries that haven’t aligned themselves with the European Central Banks (BIS) have fallen on hard times: Syria, Libya, Iran, North Korea, Afghanistan, etc. Taiwan is an example of a country that does very well outside the system, but still lies outside the world banking community. An example perhaps was Russia, which in about 1860 refused the offer to join a Rothschild banking conglomerate and in 1917, we saw the Russian Revolution. Russia had become far too prosperous. I have read much on your website. It agrees completely with my understanding of the nightmare we live in. When P.E. Trudeau retired from politics and went back to practicing ‘law’, or legal theft, he was immediately appointed to the board of American Barrick. When Brian Mulroney, a member of Mar a Lago, retired from politics he was immediately appointed to the board of American Barrick. When Bush Sr. retired from politics he was immediately appointed to the board of, you guessed it, American Barrick as well as Cargyll, and, he was knighted by the Queen. Yes, that queen. Of course Justine Trudeau will get her/his golden handshake also. As we used to say in the created recession of the ’80’s’ caused by the Canadian banksters; ‘gag me with a spoon’. I must, however, go further than you by condemning this evil usurious system and stating emphatically that the banksters, whether local, central or global, are entirely responsible for the deprivation of all, and, disease, sickness, starvation and untold billions of dead. Not to mention unending war initiated by an out of control America. Though they have got away with it for nearly 250 yrs it will, hopefully, not last much longer. In the meantime I will, now, continue to read the rest of your website and look forward very much to new posts you make. It will help to know you are out there acting as a counterweight to the sick fornicators here on Parliament Hill. As I pointed out to the face of Anita Vandenbeld, M.P. for Ottawa West, this is not going to end well for the country or for her. I kind of think, now, that a deep freeze, to the economy as well as the climate, is probably going to be a great thing in the long run even if it kills half the planet in the process. Sadly, it really is not nice. Thanks for the info on our leaders. I didn’t know about the “golden handshakes” you mention. As you move further along in the history sections, (If you read “300 Years of Lies,” you’ll see me uncover all the work of the banksters before and after the Bank of England). But, it’s somewhat of a natural phenomenon, because if you were alive in the 1500s, (Henry VIII and the collapse of feudalism), you’d be experiencing much the same phenomenon … and the fall of Rome before it. We’re in for a very rough ride starting next year. Stay safe. Thanks for the comment! Thanks Peter, I will read that ‘300 yrs’ and etc. I might ad that P.E.T. was the first and last politician I ever voted for. Heaven forgive me. Prior to that I should have known better when I had a machine gun put in my face on Parliament Hill in 1970. But, I did not know that Martial Law was enacted to facilitate the Charter of Rights and Freedoms; and with which the Notwithstanding Clause allows for suspension of all our so-called rights forever, under tyranny, if elected by Parliament. I have yet to meet a Canadian who has read the Charter. Certainly ‘None Dare Call it Conspiracy’ and ‘The Creature From Jekyll Island’ were a wake up call, but, I look forward to reading much more of your website this week. It is almost incredible that neither the Ministers of Government nor Church stand up against usury. According to the Bible they condemn themselves to eternal death. The blind leading the blind and all fall in the ditch/grave together. A man who stands up against ‘the root of all evil’ will receive a righteous reward. Stand fast and stand tall Peter. In closing may I suggest, consolidate your works into a new book, have Ron Paul, and or Rand, write an introduction with their names on the cover too. You could capture a much larger audience addressing the US market. With the publishing industry approaching armageddon there could be a sweet deal out there somewhere. Certainly you have already enough material to do an outline proposal which could get you a deal. Maybe not, but, you have done the principal (pun intended) work already. You sound like quite the exceptional Canadian, so I’m sure there’s not a lot here you don’t know. Here’s the one that makes me furious (https://worldcyclesinstitute.com/take-back-our-money-canada/) in that Canadians just don’t seem to care. We’ve given away our sovereignty to the BIS and we’re simply not in control of Canada anymore. Both the banksters and government have hidden all the facts very well. Well, the revolution is at hand, and it’s not going to be pretty. I have a few books in the works: the first one on how to profit from deflation. I have a bigger one (working title: The World Turns, which is how predictable cycles influence everything on Earth, which takes a lot of the work of others and puts it all in one place). All my research is done; it’s a case of organizing it all and writing it up. That was the day he introduced his first Federal budget. My bro didn’t tell me because he knew I would have been in Justine’s face. You are correct in Canadians not caring. Dumbed down is one reason, but; we have to concede that there is a policy in government to keep people sick physically as well as mentally for a variety of reason. All of them involve usurious profits. Canadians as a rule, and the vast majority of Americans and Brits, are Vit. D, A and C deficient along with a host of minerals. It is multi generational and we are now seeing the depressing fallout with the Millenials. Blind zionists, speaking of politics mainly but also religion, are a big part of the problem. Why do they, and Israel in particular, not realize they have created and fueled a monster that will turn around and eat them. Greed is blindingly self destructive. I do have Jewish blood but not too much. I hope you get your books out soon. I would buy one at least. Since I have taken a pledge of frugality in order not to pay usurious taxes, to buy bombs and bullets and kill people, my budget will not presently allow subscription to your services. I will follow your posts though and I have already sent your remarks on the fourth wave to my brother. After he loses another 50 or 100 thousand he might want to take a different approach to investments. There is literally nobody that I would recommend as an advisor of investments. I believe you have changed that pretty quick. Being a Metis also, and 5th generation farmers son, I have been most seriously concerned about the weather since that 27 Celsius month of March in Edmonton, was that ‘2014’ or ’15’? I only clued into 2025 after seeing one of DuByne’s videos. I am a little slow, I am Canadian, but once I get it I got it. BTW, now I take Rose Hip powder as teas several times a day. THE most nutritious natural supplement on earth. It contains even more than the nutrients previously mentioned. Tastes pretty decent too. Wild Rose neutralizes rabies. Ask any Coyote or Wolf or Bear. Some say it is the Vit C but there is not enough of that to do it on its own. Nor would I want to depend on sodium, or calcium, ascorbate alone to support our immune system. Of course, Silver is the main mineral supporting your immunity but Zinc is critical too as are many other vitamins and minerals. rose. It will be heretical. Of that I can assure you. The number cause of death is the Iatrogenic usurious medical system of the western world. I look forward to the death of usury Peter. Your native background I would think is a real blessing at this point in time. I think nature is going to become much more important (along with history, but I might be naive on that hope) in the minds of the general population. It has historically. My research tells me the levels of minerals, while very probably true, are also aligned with this 500 year cycle top, but I need to keep working on that aspect. History repeats in predictable rhythms. Very interesting, your work on Rose Hip powder is very interesting. For me the recent legalization of cannabis has been a god-send. I was at the original Woodstock, so don’t get me started on the suppression of this natural substance by governments around the world. I have Crohn’s and the CBD side has certainly helped considerably. I’m all for natural substance. Highly underrated.